Hello, everyone! 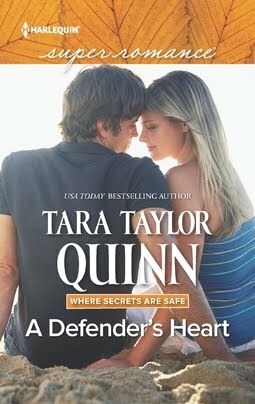 My name is Cathryn Parry, and I'm a new Harlequin Superromance author. My first book, Something to Prove, is out this month. I'm very much looking forward to seeing it on the shelves at my local Walmart and Barnes & Noble stores. To say that this will be a dream come true is an understatement. When I told my friend the news, she reminded me that the year she'd met me, here in my small town in central Massachusetts, was the year that I’d first started submitting my stories to publishers. This was (Gulp!) more years ago than I care to admit--I have selective amnesia when asked how long it took me to get published--because the important thing to me is not the amount of time (or even the number of stories) that it took, but the fact that I didn't give up. I couldn’t give up, because I love writing romance. It is not that I’ve never given up before: on diets, on exercise programs, on difficult jobs. Many times I’ve tossed in the towel, admitted defeat, and sometimes even thought terribly of myself for doing so. But maybe I shouldn’t have. 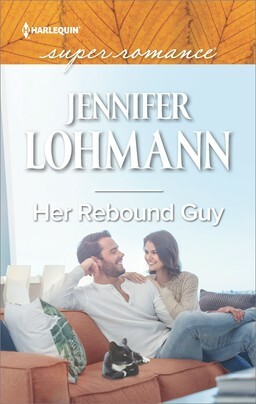 I’ve grown through many changes during my journey to becoming a Superromance author—lessons about having faith and believing in myself, mainly. I think that the difference in reaching this goal, versus not reaching it, is that it was truly important to me, heart and soul. There is power in story, and love is the most important quality of all. A few weeks ago a friend of mine, a Mary Kay sales manager, asked me to talk with her team about my experiences. After meeting them, I was amazed that we had so much in common. I guess it really is all about finding something you truly want to do. For me it’s to be a writer. For them it’s helping people look and be their best by selling a product they believe in. Perseverance, not in anything, but in something you love. Thanks for reading. Do you have any thoughts about perseverance? 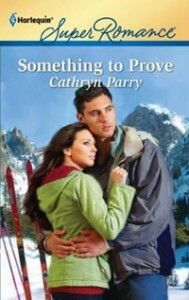 Please leave a comment to be entered for the drawing to win a copy of Something to Prove. Congratulations on getting published Cathryn. 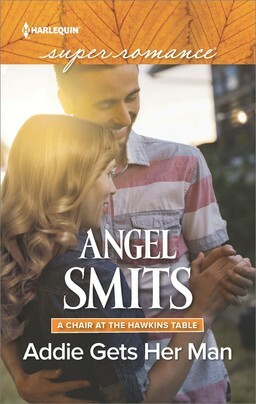 Glad the cover fairies smiled on you! Congrats, Cathryn! I know the thrill of seeing that cover for the first times is incredible...finally, it feels real! I wish I had more perserverance when it comes to takign care of myself. I tend to let things slide or become tempted by the cookies in the pantry. I swear they call out to me. I think perserverance is the most important trait in a writer, not only in getting sold, but in pushing forward in the writing of a book. Let's face it, not many writers even finish a book much less sell it. Hi Cathryn--Congratulations on your first release and on perseverance. I think one of the challenges of getting published is taking criticism and using it to grow. I remember getting comments on my first submitted story and wondering what they meant. For instance, I was told that my conflict should be more organic. I was mystified. I figured it out in short order--once it became clear that I was forcing some conflict issues, but at the time I'd never heard the word organic used in writing. There is such a huge learning curve in this business and it'd be so easy to simply give up. Congrats on seeing it through, Cathryn. I can't wait to read your book. I rank perseverance up there with critical life qualities. It's the root of both survival and accomplishment. Great post! Hooray for you. Congratulations on your first book. Perservation paid off. Congratulations on your first book, Cathryn! I started reading it last night and am really enjoying it. I completely agree with you about perseverance. A writing teacher once said she could never predict who would and wouldn't eventually sell, because it all came down to persistence. Some of the most talented writers stop trying while those who lack natural ability persevere in learning their craft and becoming better. It's always encouraging to hear of new author's success. It just goes to show it's not the plotters vs. pansters but the PERSISTERS that find publishing success. Can't wait to read your first book. I took some bad advice in college and didn't even try to get published until I was in my late thirties. What a waste. I don't have a lot of regrets about writing (because I love it so much and everything seems like a gift), but I do wish I'd started sooner. Congrats on your new book. It must feel awesome to see it in print. Any time I start anything I will work at it until I have it right. There is nothing like the feeling of a job well done. Carol, Scarlet, Tammy, jcp, and Beth: thank you for the congratulations! Liz, I hear you about the cookies. I'm doing a 5-day mini-diet for the new year, and I miss my sweets! Congratulations, Cathryn! I am so proud of you and happy that your hard work has paid off. What a great life lesson...committing ourselves to what we love and persevering through the hard times. You are a great testament to what can happen when you stay the course! Jeannie, I agree with you about the challenge of learning to take criticism and using it to grow. In the very first creative writing workshop I took (years ago, before the Internet), I noticed that not everybody came back the week after the instructor read and critiqued our sample pages aloud to the class. That was an eye-opener. It takes courage to 1) put yourself out there and 2) determine to learn what you need to in order to improve. Yay, Cathryn! Did you think this day would ever get here?! I'm THRILLED for you! 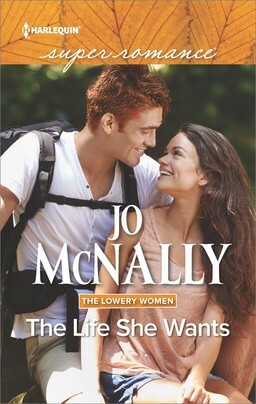 And I agree with everyone who's seen it--your cover is lovely. You should be very, very proud of yourself for not giving up! (If you're like me, you were close more than once). :-) Enjoy your special day!!! Rula, I love your name! And PS, I dropped by your blog and left a comment. Congratulations on your book, Cathryn. I'm working to be on your side of the perseverance fence, the side that has reached its goal. Ellen, thanks! I listened to other people, too, when I should have trusted my gut. On the plus side, though, I learned IT consulting and marketing. That has helped me in ways I never imagined. Congratulations, Cathryn. The cover is lovely. And the journey, at the end is always worth the ride. Huge congrats, Cathryn! I still love going into a bookstore or Walmart aisle, pointing to a new book and going, "Squee! I know her!" It's extra sweet when it's someone I truly admire, and who I know has persevered through thick and thin to get to The Call ... and now The Launch. Cathryn, Congrats! Good to see you here on the loop. Something to Prove, great title for a first book. I guess you proved to anyone who doubted--maybe even you. Kathy, it's funny, but I'd braced myself for the fact that it might not happen, that I would die without ever reaching my dream. I was at peace with that. So it was a shock when The Call came. The fact that I'd been close before and it hadn't happened makes this journey all the sweeter, as I'm sure it is for you! I've read your Call story, and I'm thrilled for you!! July will be a great month. Congratulations! I agree persistance pays off. If you want something bad enough, you'll never give up. That's hard to remember when you're staring at a rejection letter. I thought of giving up more than once. I'm glad we both made it to the other side. Can't wait to read your book. Cathryn, looking forward to reading your debut. Linda S, well said! Thank you for the congratulations. Mary, that was not my original title, but you're right, it's appropriate in more ways than one. Thanks for welcoming me to the blog. Karina, thanks! I'm really happy to be here. Congrats, Cathryn! Enjoy every moment of this grand adventure!!! Congratulations on your first book, Cathryn. It's quite a thrill to see your book in a bookstore for the first time, isn't it? Congratulations Cathryn. I'm looking forward to reading your debut book. I like the cover and the blurb is enticing. I have read some sailing stories but none have taken me to the Bahamas. Welcome, Cathryn! It's great having you here. I'm looking forward to reading your first book. I seem to remember a Texas conference hotel full of Mary Kay and RWA. As for perseverance, sometimes I feel like I'm just hanging in there, but I never feel like giving up. Congratulations!! It must be an amazing feeling. It just goes to show what you can achieve if you keep at it. Coming in late here, but I wanted to congratulate you, Cathryn, on your first release. It's obviously such a thrill for you to see your book in the stores. I hope it sells well. Perseverance pays! Debra, Chey, Kate, Kaelee, Rogenna, Marybelle, and Toni: Thank you for the comments and the well wishes. I truly appreciate it.